Starkville District Superintendent Rev. Dr. Embra Jackson with Rev. & Mrs. Larry Haggard at the blessing of the new parsonage. The EF4 tornado that ripped through Winston County on April 28 of this year brought with it change, sadness and uncertainty. For the South Louisville United Methodist Church Charge, there was a mixed blessing in this midst of the devastation – their pastor, Rev. Larry Haggard and his wife, Eve, were not home when the tornado destroyed their church parsonage. The Haggards were in Jackson, watching the news helplessly as they received phone calls of the devastation in their neighborhood and in their church family. Haggard said while it was a blessing to be away, he hated that his church family, friends and neighbors had to go through that horrible night. The parsonage building was a loss, but the Haggards were miraculously able to recover 90-95 percent of their personal items. “We didn’t realize how much stuff we had,” Haggard said. Haggard said church members who lost their own homes, came together to help them in their time of need. Despite the staggering personal and community losses, the three churches on the South Louisville Charge began making plans to provide housing for the Haggards. One of the church members allowed the Haggards to stay in a home his family owned that was unoccupied until a new residence could be found. Haggard said church members, Beth Hemphill and Callie Woodruff, were instrumental in helping the Haggards wash and dry all of their clothes and linens in order to get them situated into a temporary location. Haggard said most of the members at his three Louisville churches had insurance on their homes and were in a better position for recovery. People throughout the state and nation began helping the next day with money to meet the most immediate needs. The churches Haggard pastors helped the families in their churches who needed financial help, but because their homes and businesses were insured, it gave them the opportunity to help throughout the community. About one week after the United Methodist Conference insurance company settled the claim on the destroyed parsonage, a church member found a home for sale that was in great shape and ideally situated near each of the three churches. Haggard said it was a larger, newer home than the previous parsonage. Recently, District Superintendent Dr. Embra Jackson was invited to participate in a blessing of the new parsonage, along with Rev. Haggard, his wife, Eve, community and church members. “It was indeed a glorious moment to gather with these persons as we praised and thank God for the blessing of this home for pastors who will serve this community and these churches,” Jackson said. 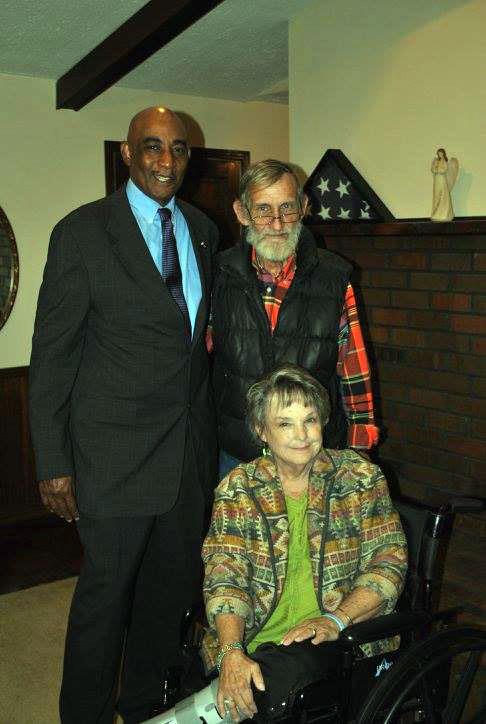 See this story in the November 26, 2014 edition of The Winston County Journal at http://winstoncountyjournal.com/new-parsonage-purchased-following-april-tornadoes/. « Operation Christmas Child…What happens next?